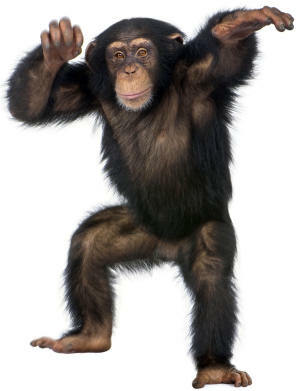 Monkeys are primates, and there are approximately 260 different species of monkey in the world. Most monkeys live in trees. Some kinds of monkeys can be kept as pets and all monkeys are thought to be intelligent. Of all the monkeys in the world, perhaps our favourite monkey is the chimpanzee, which seems to have many human characteristics! Fun Fact: The smallest monkey is the pygmy monkey, which reaches just 4.6 inches tall. Monkeys have flown into space! 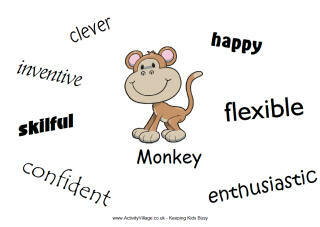 Our collection of fun monkey printables to enjoy with the kids! The monkey is one of the twelve animals of the Chinese Zodiac. Explore our Year of the Monkey activities and resources!